Cactus Flower Florists: How Are You Going to Thank Your Mom? How Are You Going to Thank Your Mom? 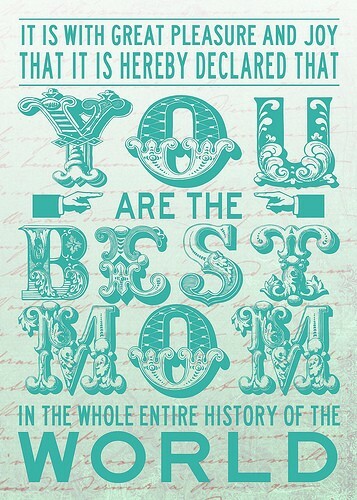 It may be the hardest job in the world, but most moms would agree that being a mom is best job they'll ever have. So how do you thank her for the sleepness nights and sacrifices she made to raise you? Mother's Day is May 13th. Acknowledge her hard work with a gift as beautiful as she is. Cactus Flower offers exclusive designs you won't find at any other Phoenix florist. From traditional flower arrangements in soft pastels, to modern compact arrangements, we have gifts for every style of mom. Is your Mom traditional in her style? Send her the Downton Abbey. Is your mom fun and full of energy? She'll like the Neon Explosion. If your mom is earth-friendly or has a green thumb, she'll appreciate this succulent garden. If your mom has sophisticated taste, she'll be smitten with the Capitvated arrangement. However you thank her, make sure you do it in a way in which she'll feel appreciated. Moms like that, you know. Where were YOU in 1972?